Two versions exist of this bootleg. A limited version and "re-issue". The highlight of this CD is the packaging. Brilliant, coulor photos of the band whilst playing "Pocket Calculator, "TEE"and "The Robots". I think the are reproduced from the now very rare Japanese tour programme from 1981. Sound quality is excellent, instereo, mixing desk, originally hailing from a radio broadcast. 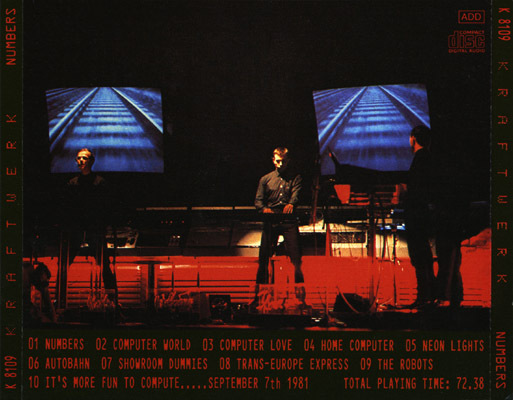 The version of "It's more fun to compute" is a particular highlights as it is so different to the official studio LP version. First release: It is rumoured about 50-100 copies of this original CD existed (the later re-issue confuses). 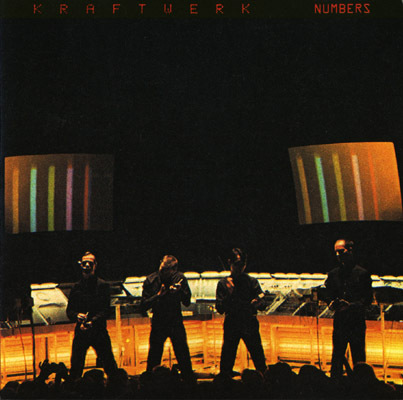 The original disc is yellow, with the drawings originally used on the "Pocket Calculator sleeve printed on it. The original issue is very rare. The re-issue CD is exactly the same but with inferrior quality paperwork for packaging/printing, the clarity of which is mich more "fuzzy". The disc itself is a plain silver design with tracklist printed of it.